When I was younger I had a negative experience at a medical appointment. I had to have a personal examination and was left feeling alone and frightened when I wasn’t given enough information about what was happening to me. I want healthcare professionals to show more empathy towards young patients, recognising that a visit to hospital can be daunting. With Fixers, I want to encourage doctors and nurses to think about the way they come across to vulnerable patients – making sure they feel reassured and understand their treatment. 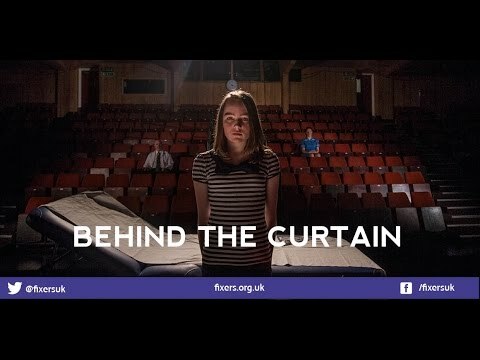 Karen at the Shropshire Clinical Commissioning Group is supporting my Fixers project and appeared in my broadcast film. I was given the opportunity to show my Fixers film at the Royal College of Paediatrics and Child Health annual conference in Birmingham. Around 1000 people attended.